Honey Bee Weddings: Sam + Kyle's Wedding: Getting Ready! I am SO excited to finally blog about my wedding! It was the best day of my life! Kyle and I were surrounded with our best friends and family and felt the love the entire time. Our vendors were amazing and everything went off without any problems. Surprisingly, I didn't get stressed out and was able to fully enjoy every moment. When people say the day goes by fast, they are not lying! 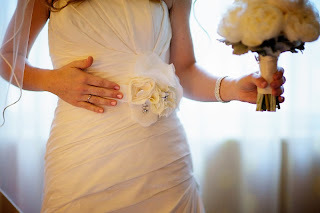 The first blog is about getting ready and before the first look. 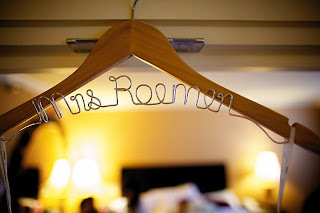 I bought this hanger off of etsy to hang my gown before getting dressed. I saw one similar on a blog and felt thought it was too cute to pass up. 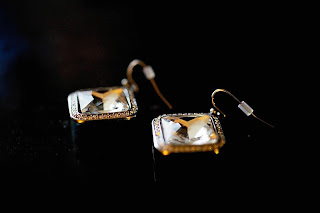 I found my earrings at a trade store near my apartment. I loved them and thought they would compliment my gown perfectly. 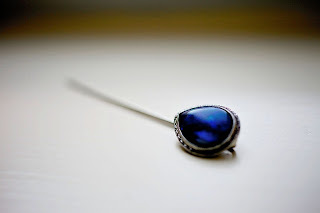 For my something blue, I used a hat pin from my great grand-mother and pinned it in my bouquet. I actually lasted until about 11PM wearing these 4 inch gems. Buying them 6 months before the wedding and wearing them around my apartment once a week to break them in was worth it. I had the best glam team! Rebecca from Sonia Roselli did my make up and was putting finishing touches on me after I finally got into my dress. Also, Liv Caporale did my hair, which was exactly what I had imagined for my wedding day! I was so excited when my bouquet arrived! It was my favorite accessory of the day...a bouquet of full, white peonies. Here is my mom buttoning up my dress. She was so emotional all day, but I couldn't have done it with out her! 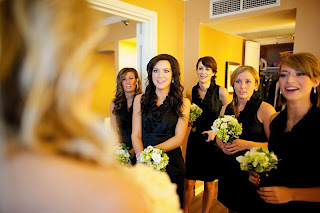 I love this picture because it perfectly captures my bridesmaids seeing me in my dress for the first time. This was one of my favorite moments! After I was all ready, I had to take a look for my self. I didn't end up wearing this sash util the reception, but we had a few moments before the first look so I put it on for some pictures. A friend from back home made this for me. It was stunning! 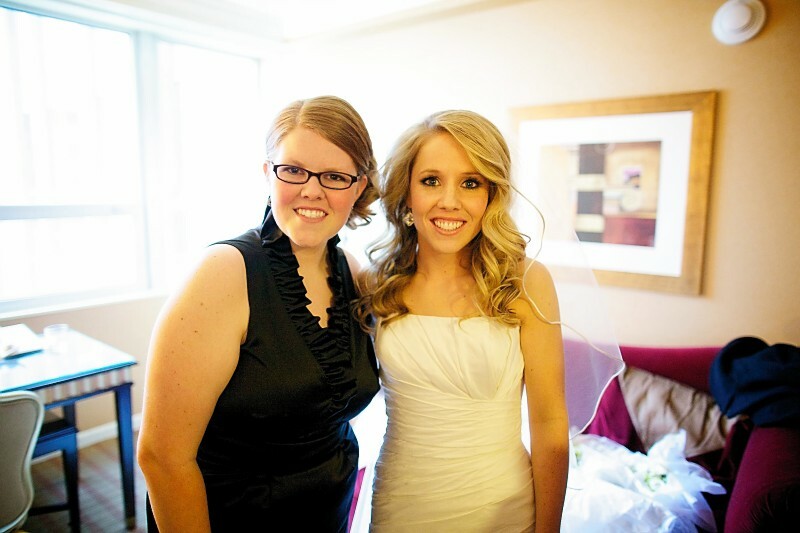 Here is my sister/maid of honor! She was amazing all day and so helpful. Lastly, I have to post a picture of the guys getting ready. 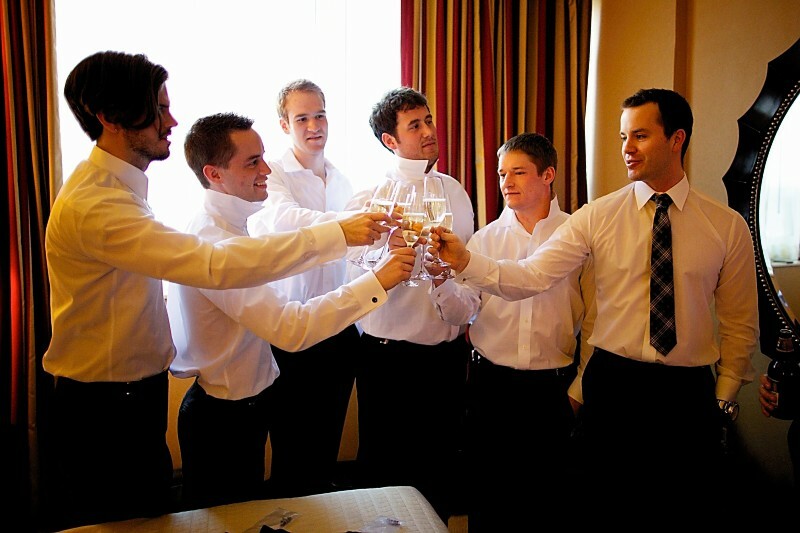 I've mentioned before on the blog how much I love "guys getting ready" pictures and here is on of my favorites! They seem to be having such a great time. Next I will blog about the first look and city pictures!